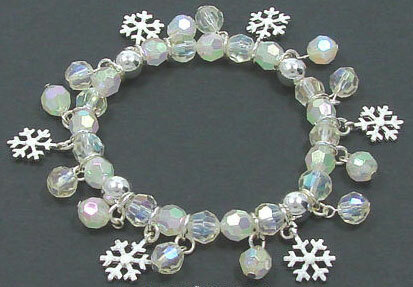 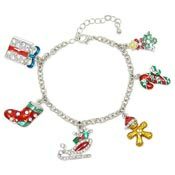 A super pretty winter snow themed bracelet. 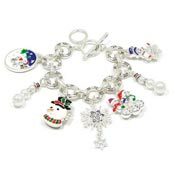 White enameled glitter snowflake charms, faceted clear and opal aurora finish faceted beads and beaded dangles make up the design. 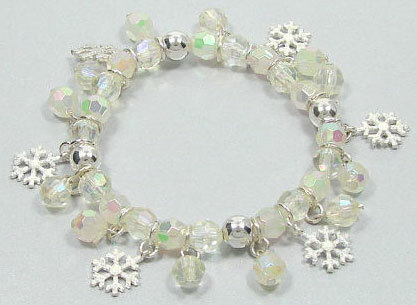 Stretch bracelet will fit most wrists. 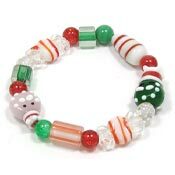 Lead compliant.